WordCamp Atlanta 2016 this past weekend and it was an a blast. I met a lot of great, incredibly smart people, and had the opportunity to hang out with some people who I’ve known online for a while. Doing the best I can to look like I know what I’m talking about :). I’ll do a full write-up about the event later. 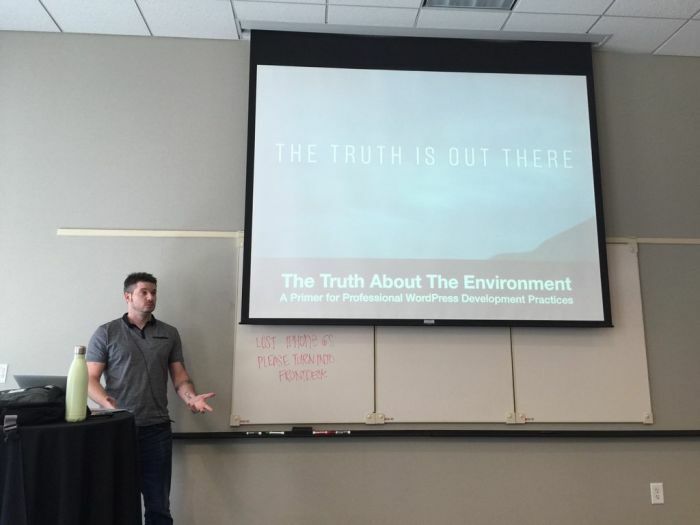 For now, I wanted to share my slides and my notes about the talk I gave on development environments titled The Truth About The Environment. 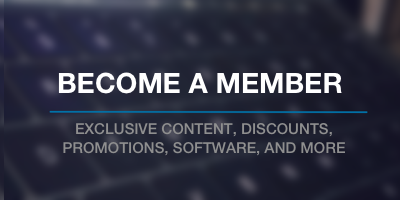 The presentation is specifically geared towards beginner and intermediate developers and sits at a high-level versus mentioning any particular tool (except for one). First, the slides (and if you can’t see them in your reader then you can grab them from this page). If you’re building websites or solutions or maintaining code you’ve inherited then you need to have three environments set up: development, staging, production. Eventually, it’s important to use version control to manage your source code and version your projects. Deployment tools are useful. There is a variety from which to choose (I like DeployBot). If you’re running a small business or handling projects like those mentioned above, it’s important to have some project management in place. It can be something as simple as email, something like Freedcamp, or something like Basecamp. It’s a constant stream of learning so where you are today won’t be where you are tomorrow permitting you continually push forward to find out more. I enjoyed giving the talk and sincerely appreciate everyone who asked questions, participated, and who came for the talk. First of all, excellent presentation. This is exactly the same workflow I use. Do you have any tips on getting the rest of the team onboard, especially when they are locked into the cowboy coding ways of old? Whenever I start somewhere new, I’m always faced with getting this workflow set up because in my area, there aren’t too many agencies using modern tools or workflows. Part of the resistance I get is that it takes more work upfront, and it can be difficult to show the trade-off in time when you factor automated deployments and database syncing into the mix. I also seem to get a lot of push back that it takes longer to do “simple one-second changes”. While that may be true, we’re talking maybe a minute to make a style change, and then push it to Beanstalk with an auto-deploy tag. I know with Desktop Server and VVV+VV you can use blueprints and post install commands to set up git, install all your tools, etc but do you have any advice for quickly getting the entire workflow setup (install locally, git setup, deploy environment, and remote db), if that is even possible?